Learning programming will become part of the Japanese elementary school curriculum from 2020, and this new toy from Sony Global Education and educational toy manufacturer Artec could give kids a head start. Called KOOV, this set of colorful building blocks, electronic parts and computer software is designed to help teach children basic coding. It comes with instructions on how to make numerous kinds of toys, which range from vehicles, including a train and fire engine, to animals like a crab and a crocodile. In the process of making the toys, children will learn about motors, LEDs and sensors, and once made, all the creations can be programmed to move using an easy-to-follow application. The more musical user can also make some instruments, which can play notes and, of course, once they get the hang of it, kids can combine the features to create their own unique robotic inventions. The KOOV software (for Windows 7 and macOS 10.9, iOS9) supports English or Japanese. 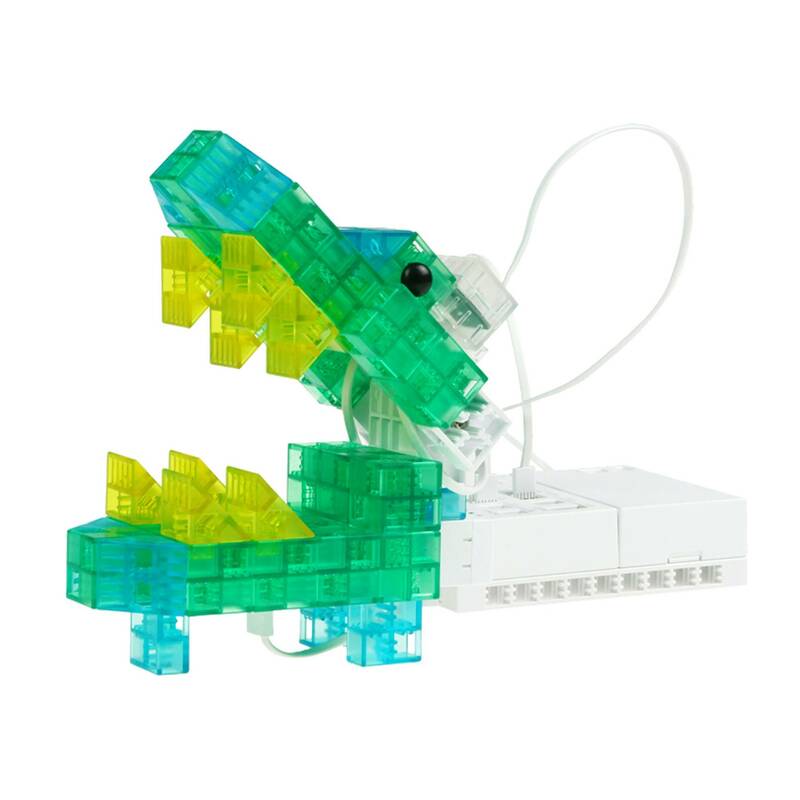 The starter kit, which has 172 blocks and 16 electronic parts, is priced at ¥39,830, while an expansion set, with 130 blocks and eight electronic parts, is ¥23,630. For the really enthusiastic, there’s also an advance kit with 302 blocks and 24 electronic parts for ¥53,870. Spring in Japan often involves a celebration of the warmer weather with hanami (cherry-blossom viewing) outdoor parties. It’s a good excuse to bring friends together and enjoy a few daytime drinks under the pink-blossomed trees. For those who particularly like a foamy head to their beer, Takara Tomy Arts has released a portable beer foamer, ideal for taking on such picnics. As part of its Beer Hour series of foamers, the Gokuawa Portable looks like the lid to a coffee flask. You simply clip it over an opened can of beer and then pour as much clear bear as you desire. When you’re ready to start foaming, press the button at the top of the handle and continue to pour. 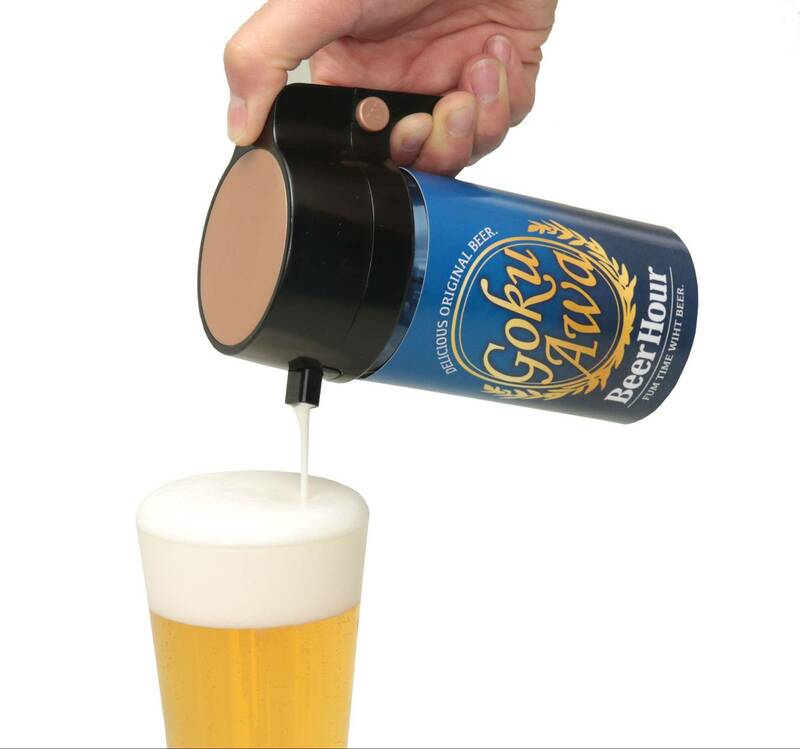 The gadget uses ultrasonic vibrations to foam the beer as it comes out of the spout and Takara Tomy Arts say that it produces an extra creamy head, which it claims makes the beer extra tasty. It costs ¥3,218, needs two triple-A batteries and is compact enough to tuck into a picnic bag. Warm spring temperatures also encourage some of us to start running or take part in other activities to lose some of that weight gained from winter overindulgences. Why not use that energy to also help charity? Metavolunteer is an NPO that aims to help reduce obesity in Japan while simultaneously helping out others. Its Charity Diet app charts the calories burned by users — data that is gleaned from the users’ own fitness wearable devices — and converts them into donations for worthy causes. The monetary donations are supplied by participating sponsor companies, so it won’t cost the user anything — except some physical effort. Doctors Without Borders, Hunger Free World, Save the Children, World Vision and the World Wildlife Fund are already involved in Charity Diet, with other groups and sponsor companies ready to join. It’s a great idea, but for now, the app is still going through a testing period. In fact, it’s currently looking for 500 monitors, so if you’re up for a run, now’s a good time.